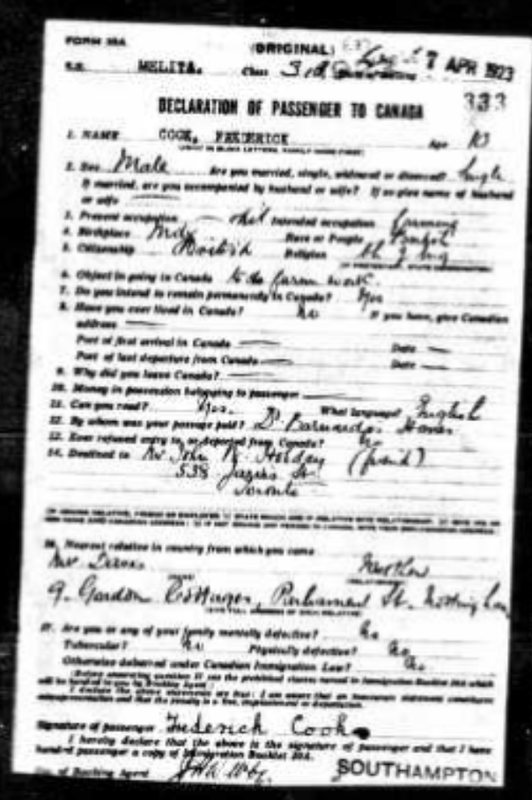 Sheila D. on Facebook asked for help finding her uncle Frederick Cook who arrived in Canada as a Home Child in 1923 or 1924. 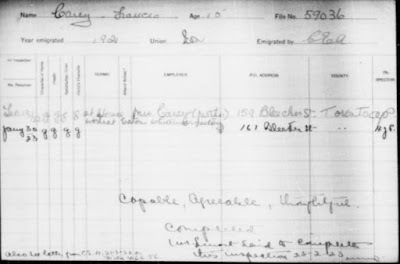 Apparently family members were told that Barnardo's had no records for Frederick. 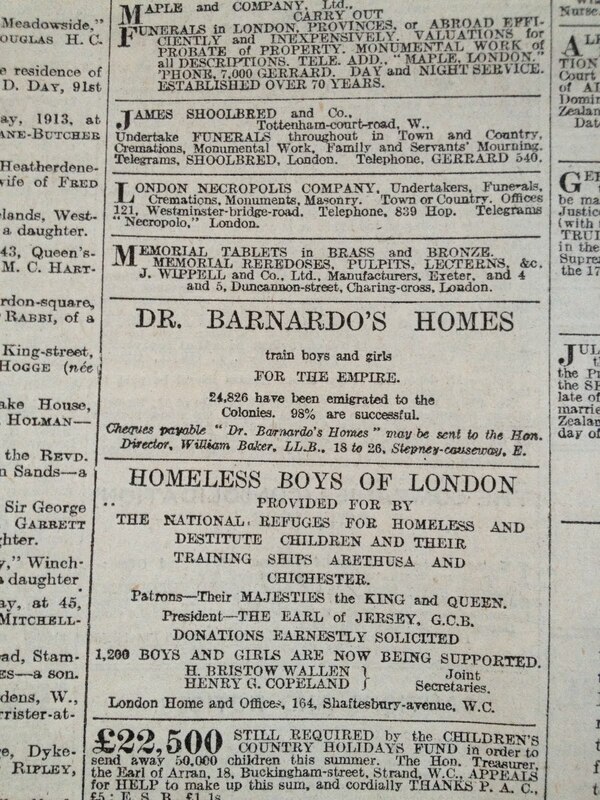 I suggest that Sheila write to Barnardo's on her own and ask them to check for Frederick. 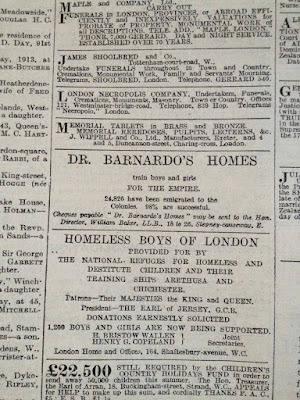 Barnardo's Family History Service deals with enquiries regarding records of individual children — various services are available.I had great success with using their services for one of my husband's ancestors. In any case I decided to have a search to see what I could find. 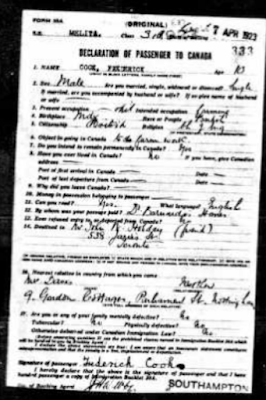 Frederick Cook appears in the online database for British Home Children found on Library and Archives Canada. 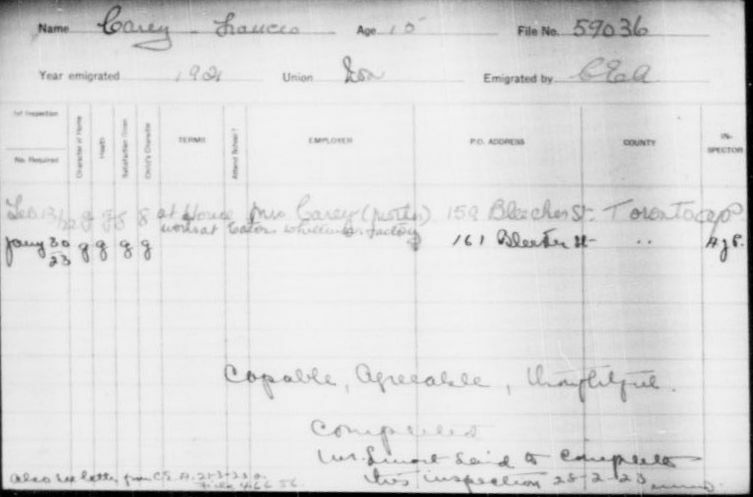 Armed with the information of his ship and arrival year, I looked in the Canada, Ocean Arrivals (Form 30A), 1919-1924 found on Ancestry. He is found there with details which may be helpful. She can find these entries for herself (1924, 1927 and 1928) and order copies from the Archives. 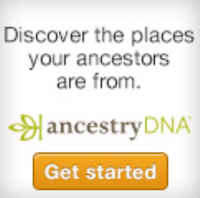 I had great success using those entries to find information on the ancestor of a client. Sheila can also search the Guardianship records on the same site. There is a great deal of information in those and they too can be ordered at a reasonable cost. Start at the Home Children 1869-1932 database online. The Juvenile Inspection Reports are another source for finding information on a Home Child ancestor. These records date from 1920 to 1932; however, there are a few from 1911 to 1917 and after 1932. They are available free on Heritage. Tips to De-clutter that Email Box! Caveat: Transcripts Can be Wrong!